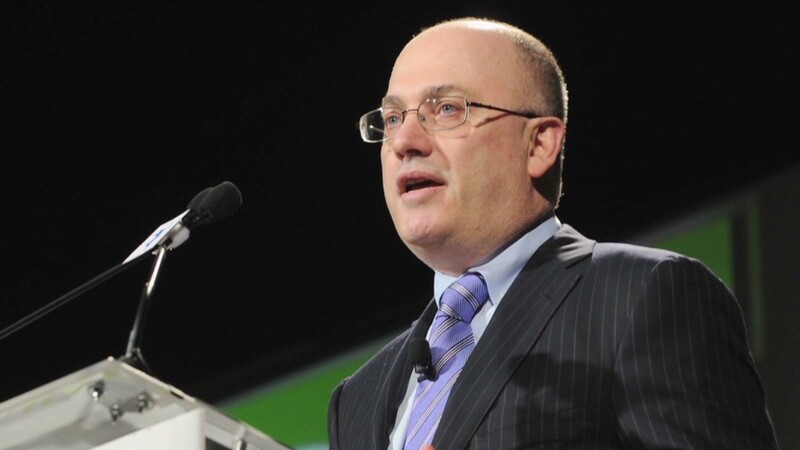 In a move that could deal a death blow to one of the country's largest hedge funds, federal prosecutors announced criminal insider trading charges Thursday against SAC Capital, the firm run by billionaire investor Steven Cohen. The indictment charges that the hedge fund was guilty of both "unlawful conduct by individual employees and an institutional indifference to that unlawful conduct." The government alleges a pattern of insider trading that was "substantial, pervasive and on a scale without known precedent in the hedge fund industry." The insider trading resulted in "hundreds of millions" of dollars of illegal profits and "avoided losses" for the hedge fund, according to the indictment, which says the firm should forfeit all that money as part of its penalty. SAC said Thursday that it "has never encouraged, promoted or tolerated insider trading and takes its compliance and management obligations seriously." "The handful of men who admit they broke the law does not reflect the honesty, integrity and character of the thousands of men and women who have worked at SAC over the past 21 years," the firm said. "SAC will continue to operate as we work through these matters." Cohen himself has not been charged criminally, though the Securities and Exchange Commission announced civil charges against him last week, accusing him of failing to supervise employees who engaged in insider trading. When questioned about the lack of criminal charges against Cohen, U.S. Attorney Preet Bharara said the investigation is ongoing, raising the possibility of future charges. "I'm not going to say what tomorrow may or may not bring," he said. Bharara said he hoped the charges would encourage other firms to make sure they follow the law. "Companies, like individuals, need to held to account and need to be deterred from becoming dens of corruption," he said. "Today's indictment hopefully gets their attention." George Venizelos, the assistant director-in-charge of the New York office of the FBI, said SAC's compliance department, which is supposed to catch wrongdoing, was "woefully inadequate." "To be blunt SAC....not only tolerated cheating, it encouraged it," he said. Steinberg is accused of insider trading in Dell (DELL) and Nvidia (NVDA) stock. An analyst who reported to Steinberg, Jon Horvath, has already pleaded guilty and is cooperating with prosecutors. Investors have been fleeing SAC in droves over the past few months as the firm's legal troubles mounted. The firm's indictment makes matters worse. The Justice Department could permanently shutter SAC, which reportedly employs about 1,000 people, with a conviction. The SEC, meanwhile, is seeking to bar Cohen for managing investor funds. He could also be barred from the financial services industry. Even if the firm is closed and Cohen himself faces sanctions, he could still manage the massive personal fortune he has invested with SAC, said Jacob Frenkel, a former federal prosecutor and SEC lawyer. As of May, Cohen accounted for $7 billion out of the roughly $15 billion managed by SAC, according to Bloomberg. Nonetheless, the criminal charges against SAC represent a significant step. Prosecutors have generally been reluctant to indict companies since accounting firm Arthur Andersen essentially collapsed a decade ago -- taking down nearly 28,000 jobs -- after being convicted in connection with the Enron scandal, said Michael Clark, a defense lawyer and former federal prosecutor. The conviction was later overturned by the Supreme Court. Subsidiaries of global banks Royal Bank of Scotland (RBS) and UBS (UBS) have pleaded guilty in the past few months to criminal charges in connection with the Libor rate-rigging scandal, though those pleas didn't affect the firms' ability to operate in the United States. -- CNNMoney's Chris Isidore and Maureen Farrell contributed to this report.